It is amazing how much there is to learn in the big, wide world if you simply look around you. As you know, our love for all things medieval still is strong in this house--specifically for my historian, Johanna. (Remember our Medieval Feast?) 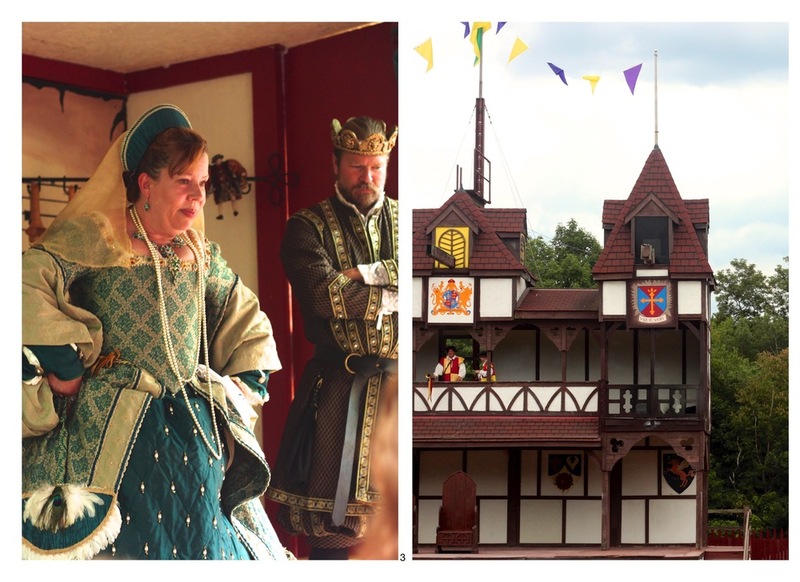 In our quest to make August a fun, family month, we visited the PA Renaissance Faire recently. The girls wore their most medieval/renaissance-like attire (all beautifully sewn dresses my mom has made them over the years) and they suddenly transformed and played the part of royalty. And boy did they love it. With a bucket of kettle corn in tow, our gang watched jousting, a potter at work, sang a song to the queen herself, and were knighted by the king. It was a fantastic day of explaining to and observing with our kids. I love exploring with curious kids--it makes the experience that much more thrilling. Today we are off to explore something new... Super excited! Follow me on Instagram to see our big adventures today. Have you visited a Renaissance Faire? What exploring are you doing with the remainder of your summer?